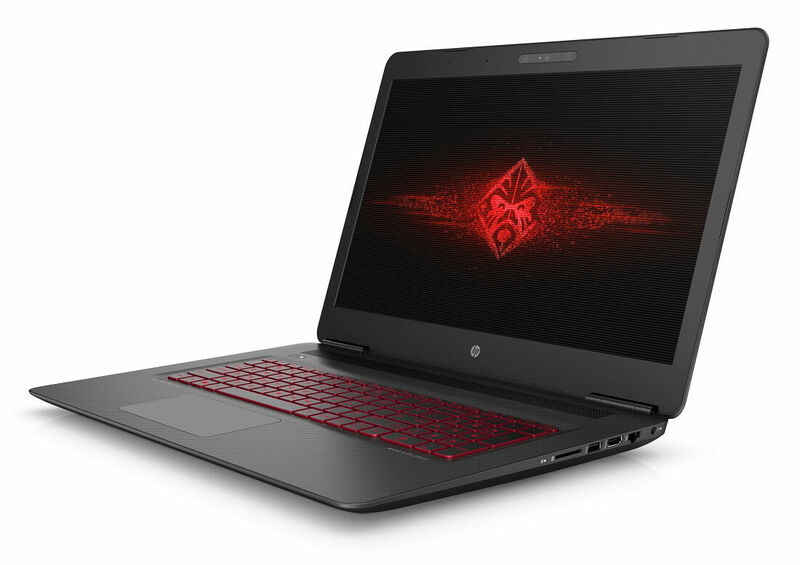 HP has completely refreshed their Omen gaming laptops with a fantastic array of modern hardware, while retaining the slim, portable and generally attractive aesthetic of previous models. There are two models of the new HP Omen available: one with a 15.6-inch 1080p display, which starts at $899.99; and another with a 17.3-inch 1080p display, which will set you back at least $1,029.99. Both models will be available from July 10th in the United States through HP's website and Best Buy. The two variants of the Omen share some specifications, such as the Intel 'Skylake' Core i7-6700HQ processor, 8 GB of RAM, 2x2 MIMO Wi-Fi ac, and gigabit Ethernet. It appears as though both start with Nvidia GeForce GTX 950M GPUs inside with 2 GB of VRAM, which can be configured up to a GTX 965M. 1 TB hard drives are included as standard. Both of these models can also be updated to include a 4K display, up to 16 GB of DDR4 memory, and up to 512 GB of PCIe SSD storage or 4 TB HDD + 128 GB SSD combo. The 15-inch Omen weighs just under 2.1 kg (4.6 lbs) with a body under 25mm thick, while the 17-inch is under 2.9kg and 30mm thick. HP's black mesh design with red accents looks quite attractive for a gaming laptop, and HP hasn't fallen into the trap of including over-the-top gamer design. The price tags for these mid-range gaming laptops make them quite affordable too, although if you want faster GPUs you'll inevitably have to fork out some extra cash. Alongside the new Omen laptops, HP announced an Omen desktop that's set to be released in August with up to an Intel Core i7-6700K and Nvidia GeForce GTX 1080 inside. Liquid cooling will also be an option, as will a 512 GB SSD. Gamers who buy the Omen desktop might also be interested in the company's 32-inch 1440p display, which sports 300 nits of brightness, and AMD's FreeSync with a maximum refresh rate of 75 Hz. The "Omen by HP 32 Display" will also be available in August.